In 2003, I was in Indonesia for the first time, not only did I get to know my wife, Wiwik, but also the world of the Keris, also known as Kris in Malay. I started with an intern trade, initially only with wooden figures. Very quickly I took the Keris in my offer. 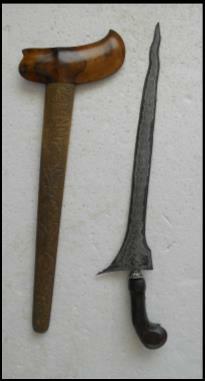 I have now dedicated a website to Keris. On these pages I offer a lot of information about the Keris and hope to find many new prospects. A Keris is borne in Indonesia only on special occasions, usually religious celebrations and passed on from father to son and there is a mystical power in it. You can buy Keris or accessories directly on the website www.bali-artshop.com, but may also send me your request, which I then seek to fulfill. I work with suppliers on Bali, Java and Lombok.